Good morning crafty friends! 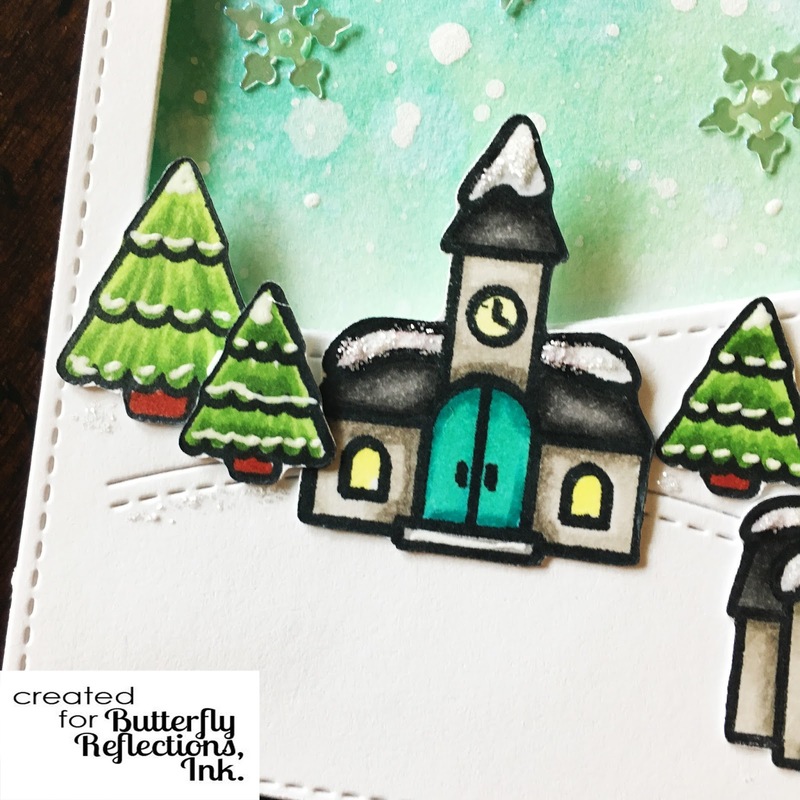 It's one more week closer to the holidays, and I have another card for you today. Today's card was pretty quick. I started by inking an A2 sized card panel with Distress Oxide Inks. I used Cracked Pistachio, Peacock Feathers and Lucky Clover. I blended the inks, and then sprayed on some water, blotted it dry, then added a bit more water. To get the snow flakes, I flicked on some white paint. 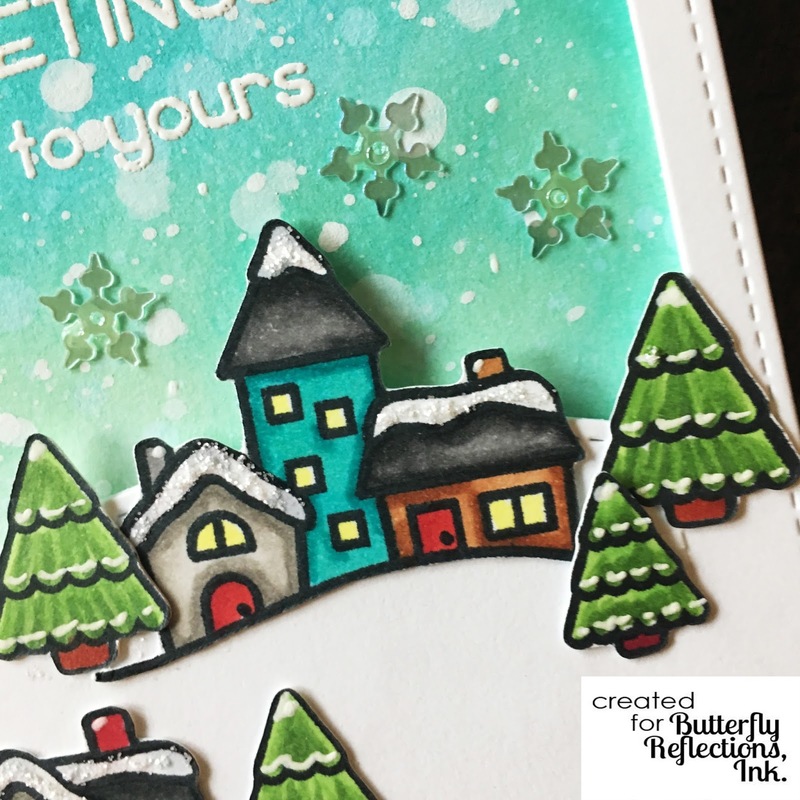 Then I stamped all the houses and tree images from Lawn Fawn's Winter Village set. I colored everything with Copics and then cut them out. 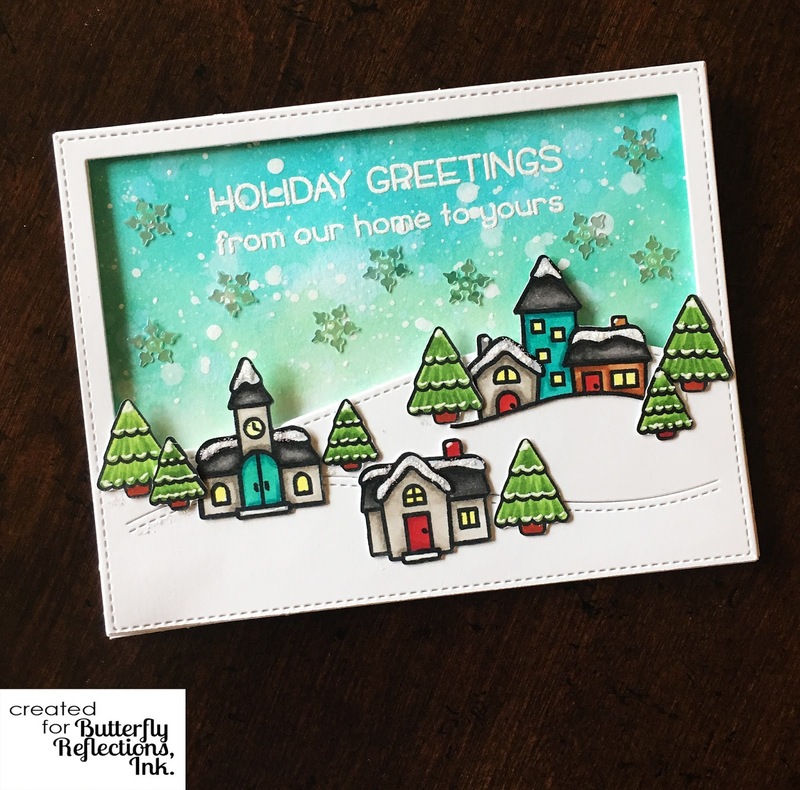 I stamped the greeting on the background using Versamark Ink, and then heat embossed using Altenew Crisp White embossing powder. To make the hills and frame, I cut some heavy white card stock using the Lawn Cuts Stitched Hillside Backdrop - Landscape. Let's talk about how versatile this die is. If you like making scene cards at all, you can use this over and over. This die is a great investment! Lawn Fawn also has one for your Portrait oriented cards and you can find it HERE. It is definitely on my wish list. I then arranged my houses and trees and once I decided on a layout, I snapped a quick picture with my cell phone to use as a reference. I used Scotch foam mounting tape to mount the frame, and then I adhered all my trees and buildings. I used a few embellishments to add some sparkle - Pretty Pink Posh Sparkling Clear Snowflakes which I am using on everything this year (pro tip: get 2 bags!) and also some Crystal Stickles to embellish the snowy scene. 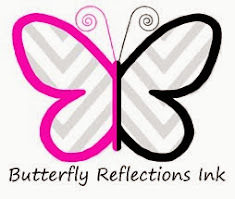 That's all for today - Thank you so much for stopping by and be sure to stop in the STORE and see all the FABULOUS new releases Vanessa has in! So pretty, I love the beautiful coloring, so perfect!